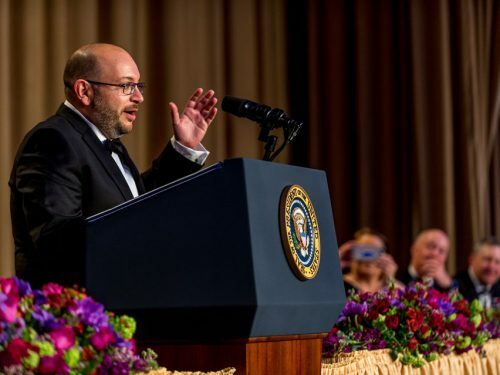 Five reporters have been named winners of three of journalism’s most prestigious awards, and were honored at the White House Correspondents’ Association dinner on May 1. 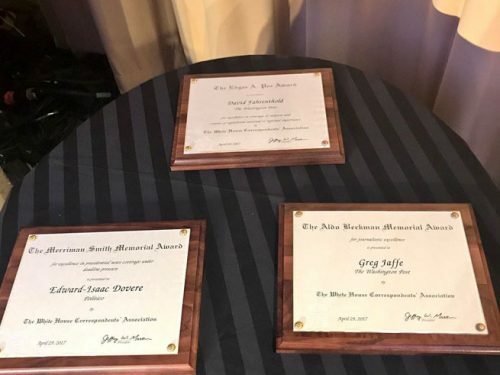 The Merriman Smith Award ($2,500 each) recognizes presidential news coverage under deadline pressure, with separate awards for print and broadcast journalists. The Aldo Beckman ($1,000) recognizes repeated excellence in White House coverage, with a single award for either a print or broadcast journalist. Entries may be in the form of clippings, original material, wire copy printouts, photocopies or broadcast scripts. 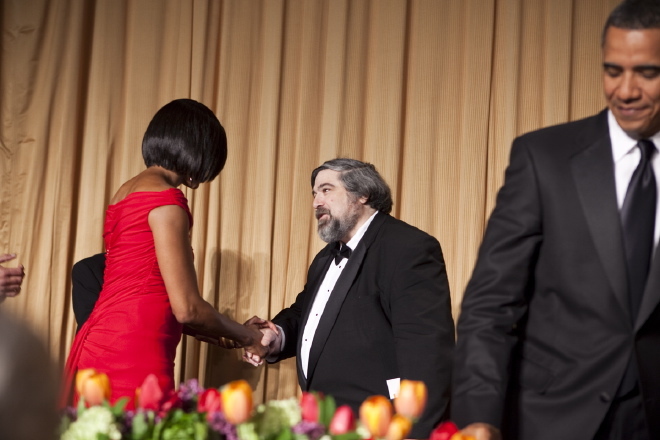 Mark Knoller of CBS News received the Aldo Beckman award for sustained excellence in White House coverage. 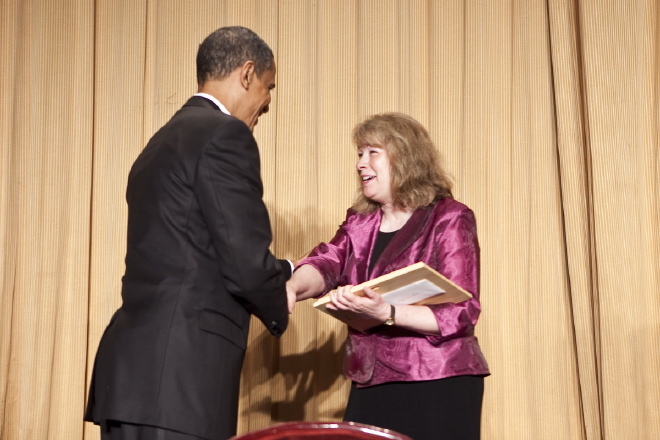 Knoller was cited for his body of work covering the White House for more than 35 years. The judges hailed his “insightful reporting on multiple platforms” including radio, television, blogs and now Twitter. 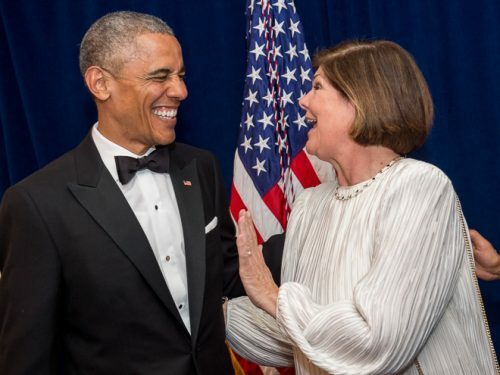 “His meticulous record-keeping as an unofficial archivist of the presidency serves the public and keeps the White House accountable,” the judges said. “Mark Knoller lives and breathes reporting. The public is well-served by his tireless efforts. The Beckman award carries a $1,000 prize. Honorable Mention for the Aldo Beckman Award goes to Scott Wilson of the Washington Post whose excellent reporting and writing style display an ability to take complex policy issues and weave them into a narrative that chronicles the political strategies and the interactions of the personalities involved in his stories. Scott’s insightful work is all the more remarkable given that he is new to the White House beat. 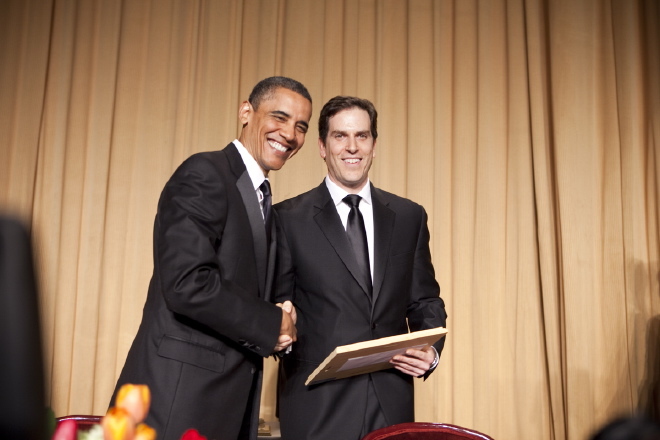 His previous experience as a foreign correspondent has clearly enriched his coverage of the Obama presidency. The Edgar A. Poe Award ($2,500) recognizes excellence in coverage of news of national or regional significance, with a single award for either a print or broadcast journalist. Entries that are multi-part must be limited to 5 print, broadcast, or online stories in the series as one entry. Online entries must be original Web content. Entire series may be submitted as supporting documentation, but only the five stories selected for entry will be fully reviewed for judging. Suzanne Bohan and Sandy Kleffman of the Contra Costa, California, Times have been awarded the Edgar A. Poe Award for excellence in coverage of news of national or regional significance. 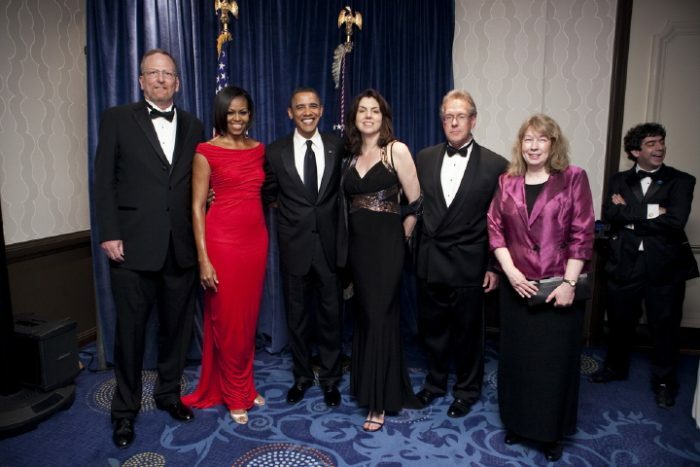 The awards presentions were held during the annual fundraising dinner of the White House Correspondents’ Association at the Washington Hilton Hotel. “In the midst of the national health care debate, these exceptionally well-reported stories offer unique and valuable lessons for public health policy,” said the Poe award judges said. The Poe award carries a $2,500 prize. Honorable mention is also awarded to two different publications for their work on the housing crisis and the resulting foreclosure meltdown that still reaches to every part of American life and continues to threaten recovery efforts. 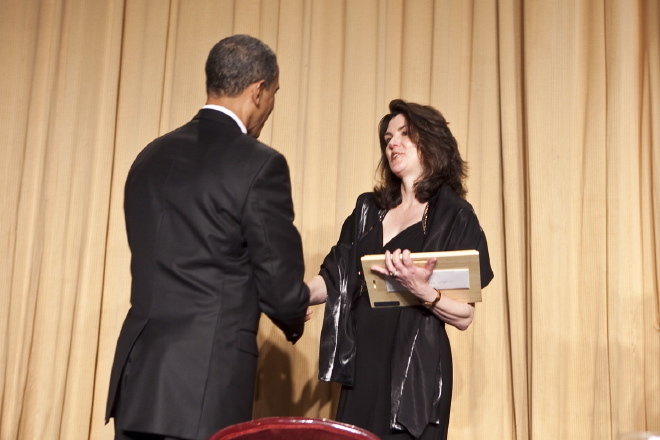 Awards were presented at the annual White House Correspondents’ Association Dinner. 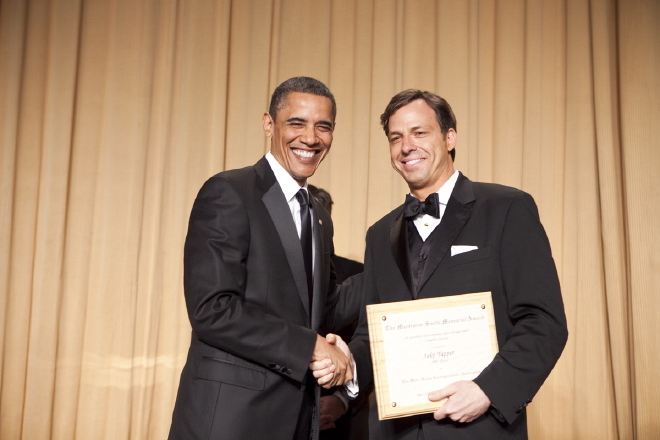 Ed Henry of CNN chairs the 2010 awards committee and assisted with the presentations at this year’s ceremony. For more information about each award, click on the individual guidelines links at right. For further questions, please contact Ellen Shearer of Medill News Service at (202) 661-0102 (shearer@northwestern.edu) or Julia Whiston, Executive Director of the WHCA, at (202) 266-7453 (click to send a message). Ed Henry of CNN chairs the 2010 awards committee.